Welcome to our home awaay from home! Rick and I have been happily married for 42 years. We live about an hour south of Chicago in Saint John, IN. With no children left at home we have two very spoiled fur babies, Molly & Angel. 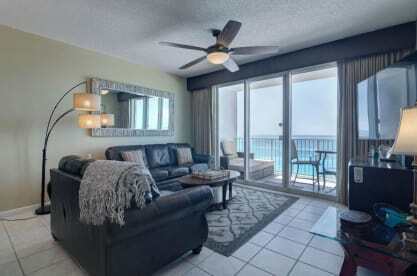 We owned a condo in Siesta Key, Fl for 7 yrs before purchasing this beautiful condo. We love being a part of the Seascape Community here at Majestic Sun. We have the white quartz sand cool beach, the Gulf of Mexico, an 18 hole golf course, tennis, incredible restaurants & so many things to do closeby. We hope you love it here as much as we do. We’re always available if you have a problem.